If you often ask yourself why you can't win at poker, don't worry. 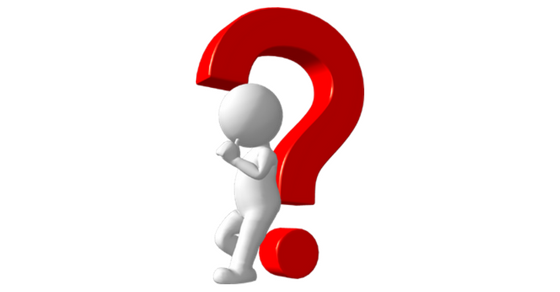 Every poker player asks themselves this at some point. Even if you are a long term winning player, you are bound to go through stretches where it seems like you will never win again. 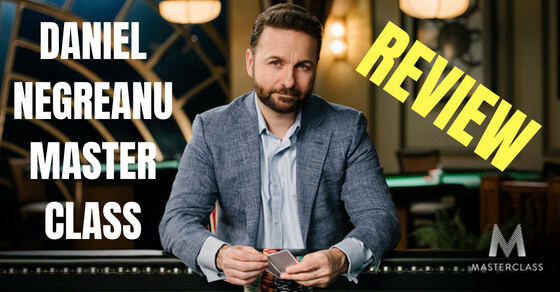 The top 5 reasons why you aren't winning at poker yet are because you aren't playing in the right games, you aren't using a consistent strategy, you aren't properly bankrolled, you are over-thinking simple spots and you are tilting too much. These are some of the most common reasons why people do not win at poker. But this is still a pretty simplistic answer. 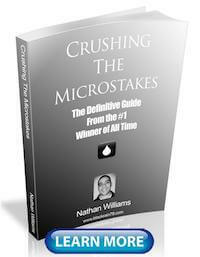 So in this article I am going to break it down step by step why you aren't winning at poker yet. You owe it to yourself to start changing this today! One of the unique things about poker which makes it profitable is that aside from the rake, you are playing solely against other people, not the house. This means that who you choose to play against will have a large impact on your results. If you choose to play against people who are better than you or you play in games that you are not familiar with, then you are probably not going to win. Many people make this mistake. And it can be really easy to make this mistake if you play online. After all, it seems almost silly to play for $2 or $5 especially if you are used to playing in live games buying in for $100 or more. The problem with this line of thinking though is that the skill level in these micro stakes online games is actually comparable to that live poker $100 game. In other words these extremely low limits are the stakes that you should be playing at online. If you choose to jump into the $25, $50, $100 or higher games online, then you are probably going to be playing above your current skill level. These games are no joke these days. You will even start to see professionals at these limits as well. 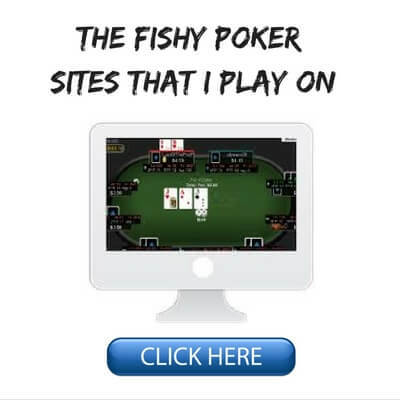 Do yourself a favour and start at the lowest stakes whether you play online or live. Even if you think you are way too good for these games, just play them for a week or two to prove it to yourself. There is no big rush to get to the highest stakes in poker. Take your time and do it right the first time. The other thing you need to be careful of is jumping around into games that you aren't that familiar with. Even if you just keep it to No Limit Texas Hold'em, you should still try to specialize in cash games, tournaments or sit and gos. Here is a full breakdown of the pros and cons of cash games versus tournaments by the way. It's totally ok to mess around a bit on the side. By the way I am talking about poker here just so we are clear! I love playing tournaments for instance on the weekends sometimes. 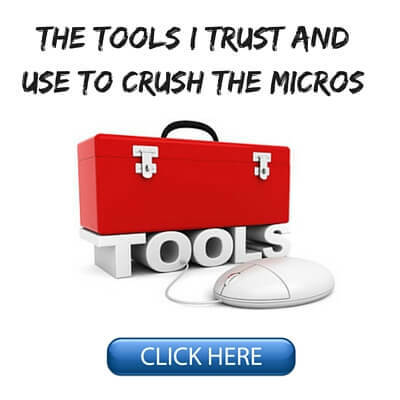 But I know that my real expertise is in Full Ring/6-Max micro stakes online cash games so that is what I am playing 95% of the time. You won't find me playing high stakes heads up PLO any time soon. Stick to what you are good at and become the very best that you can be at it. 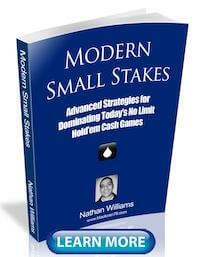 Another thing that holds so many people back in poker is not using a consistent strategy. If you want to be a tight aggressive player or a loose aggressive player then you need to use that strategy all the time, not just when you feel like it. You also need to know which hands you are going to play preflop and which hands you are going to bet and raise with after the flop. There shouldn't be much guesswork involved here. I always suggest a tight and aggressive strategy (TAG) for anyone playing micro stakes cash games or tournaments, whether online or live. It is the easiest to learn and guaranteed to bring you success. But only if you implement this strategy every single time you play no matter what. That is where most people wind up going wrong. 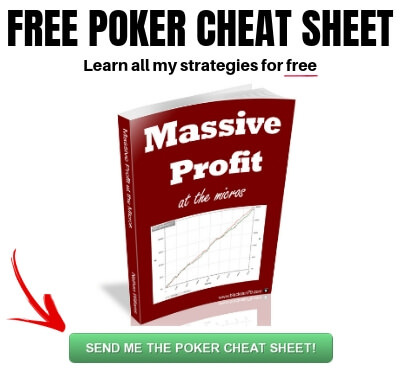 If you want a step by step breakdown of what a TAG strategy entails then I would suggest picking up a copy of my free poker ebook. Another common way that people rob themselves of success in poker is by not being properly bankrolled for the stakes that they are playing. Many people want to risk very little and see what happens. Totally understandable. For instance, they will try to build a bankroll with $20. And while it is certainly possible to succeed with such a small amount, and there will be isolated cases where people run it up to huge amounts, 10K, 100K or more, this just isn't a very serious approach to the game. Most people who try to build a bankroll with $20 are simply going to go broke again and again no matter how good they are because they don't have enough bullets in the bank to overcome basic variance. Downswings of 10 and even 20 buyins are now standard in nearly all micro stakes cash games and that includes for long term winning players. $20 is only 10 buyins in the lowest stakes cash game available online, NL2. So if you happen to hit a routine 10 buyin downswing while playing NL2 you can say goodbye to your entire bankroll. This is why having such a small bankroll is almost like pure gambling. And if you decide to play tournaments or sit n gos $20 is simply not enough for any stakes since the variance is way higher in those formats. If you are serious about poker, do yourself a favour and get at least $50 or better yet $100 and start grinding the lower stakes. You should never have to worry about going broke while playing poker. You wouldn't try and launch a new startup company with a couple hundred dollars capital and expect to be taken seriously by anyone. Take poker seriously as well. Start your poker career with a proper bankroll and give yourself a real chance to win. Poker is a unique game in that it is literally 100% mental. You can't really intimidate your opponents physically especially if you play online. And success in poker does not discriminate across nations, cultures or even genders. One of the most common traits that you will find among all top poker players is a deep rooted belief that they are the best, almost to the point of arrogance with some. You have to have complete confidence in your abilities if you truly want to succeed in this game. Because believe me, nobody else is going to believe in you if you can't even believe in yourself! Now I understand that this can be a difficult thing to do when you don't have any history of past success in this game. It's a lot easier for somebody who is crushing the games to believe in themselves. This is why it is so important to be prepared, having studied all the right materials, and to put yourself in a position to win like I suggested above (low stakes, the right strategy and properly bankrolled). If you do all of these things it is really hard NOT to start seeing some success at the lower stakes poker tables. And this in turn will lead to an increased confidence in your abilities, moving up the stakes and having even more success. The last and most important reason why some people don't win at poker is because they aren't ready for the real nature of variance in this game (the ups and downs). In order to win at poker over the long run takes an incredible amount of mental toughness. Many people who play poker just come for the quick and easy buck, they are almost looking for a get rich quick scheme. But unfortunately they find out all too often that this just isn't how poker works. Don't get me wrong, you can get in there and start shoving the chips around and get lucky on any given day. You could even beat the best in the world. But if you want to win over the long run (weeks, months, years) then you need to be willing to consistently employ a winning strategy and not give in to tilt and frustration no matter what your results are. In fact if you feel yourself starting to tilt, then you need to develop the crucial skill of walking away from the tables on that day. Making terrible calls "just to see it"
If you see any of these things happening, then it is a clear sign that you should be quitting for the day because you are very unlikely to be playing to the best of your abilities, even though you may think you are. The thing with poker these days is that there isn't as much easy money out there anymore. You can't afford to be playing well below your capabilities and expect to win. In other words, you need to bring your "A-game" every single time. I know the feeling of wanting to win it all back though. One of the hardest things about being a successful poker player is that you need to have a fiercely competitive drive to win but you also need to know when to back off and walk away. These are two polar opposite emotions. When I am getting killed at the poker tables the only thing I want to do is crush them and win it all back. But the problem is that you are not playing anywhere near your best when you are the one getting crushed. This means that the edge you have over your opponents might be reduced to zero or even negative. In other words, you might actually be the fish and you don't even know it! This is why I always preach long run, long run, long run so much on this blog and elsewhere. It simply has to always be your #1 concern in this game. No matter how hard it is in the moment you need to always remind yourself that we play this game for weeks, months and years, not days. In fact what happens in a single session, or even a handful of sessions, literally has almost no impact on your true long term results in this game. Most poker players, even huge winners, are going to lose at least 30% of the time they sit down to play. It's just the way the game works. And once in awhile you are going to lose huge and even get absolutely crushed for days on end. This also is a part of the process though. You can't allow yourself to sabotage all of the hard work you have put in studying and improving your game not to mention all of the long hours spent grinding it out at the tables as well. Don't allow yourself to throw it all away because of a few coolers and bad beats. The games will always be there tomorrow and the next day and forever really, they never stop. When that really brutal session happens again learn to walk away before any real and lasting damage can be done. If you can learn to master just this one vital skill, you will almost certainly see a massive positive change in your long run results. The question of why can't I win at poker is something that we all ask ourselves at some point. But some people just say it during their downswings, for other people it represents their entire poker career. If you want to start saying "why do I win so much at poker" instead then you need to start doubling down on the fundamentals that I talked about above. Firstly, you need to play in the right games where you have a clear skill advantage and for which you are properly bankrolled for. Secondly, you need to employ the same strategy on a consistent basis no matter how things are going for you at the tables. If you are a TAG player, then you play TAG all the time no matter what. Lastly, you need to develop an unshakeable belief and confidence in your own abilities through your preparation and success. You also need to make sure that you learn how to walk away from the tables when it just isn't your day. If you aren't winning at poker yet let me know in the comments below what you think is holding you back. "...it reached the grade, but its voice could still be heard: "I think I can. I----- think-----I-----can. I -----think----- I----- can." Higher and higher it climbed, and its voice grew fainter and its words came slower: "I -------think --------I-------can." 'I ------think------- I------ can------I----- thought------I-------could I----- thought----- I----- could. I thought I could. I thought I could. I thought I could." And singing its triumph, it rushed on down toward the valley." Hi Nathan, that was just the ticket to get me playing again. I've had moderate success at the tables then read very complicated poker maths books and kind of lost it a bit, reacted to a few bad beats and gambled in higher stakes games. When I stick to tag style with basic 'abc' poker maths I do well, but some books make it bloody complicated! All of your advice above would have saved me (and I knew it then) but your email drops into my box and as usual your enthusiasm is very motivating. I was about to drop £20 in my account as a starting bankroll but will take your advice and do it properly. Tournament time is calling! Plus it's freezing here in England so online poker sounds good lol. Glad I could help Mort! 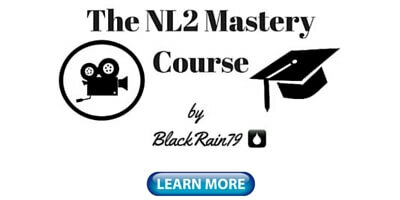 Ya all you need is a very basic ABC style to beat the micro stakes like NL2, NL5 and NL10 especially. You definitely don't need to know complex math or gto. Good luck with the grind and let me know how it goes! i think i got impatient and wanted to move up too quick. i had deposited 60 and 50 on acr and donked it off. I was on global poker with 30 playing nl/4 and run it up to 60 in a week. then i got stupid. decided to play nl/50 friday night and ran my last 20 up to 180. i had 149 when i woke up yesterday and instead of backing back down to nl/4 i stayed at nl/50 and lost it all. even deposited another 40 and lost it. Very disappointed in myself for not following proper br management. i was jusst getting bored at nl/4. almost wanted to give up but i am not going to. I have however, learned some valuable lessons about myself and poker. 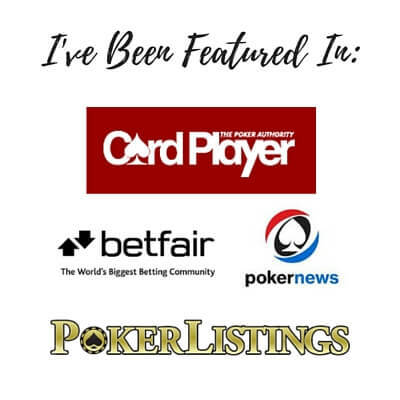 i am a freelance writer which means i work from home and i want to make a side income or even better at poker. i h ave read this post before but reading it again tonight, i can see how i am faulty on several points. moving up to fast, being on tilt, played late when I was tired, and got addicted to fast cash. i am going to deposit again next week and bookmark this post to read every single day to keep myself in check. Thank You Nathan for all you do for the world of poker. The variance will not let you will regularly. You will lose even when you get it all in good.